Here you can compare prices on rental cars in the town Messina, region Sicily, Italy. Find and book a rental car the easy way. When you rent a car from us, there are no surprises when you pick up the car on your arrival. In town, there are car rental companies like Avis, Sixt, Hertz, Europcar, Thrifty, Budget. All our prices include free mileage, airport fees, road assistance and obligatory insurances, taxes and fees. Autoitaly.co.uk can help you find a cheap car rental and car hire. Search for a city or an airport and choose your destination from the list. If you search for a country or an island, auto suggestion will list the largest airports in that country. Search and book in advance if you want an extra-large car and/or extra options such as booster seat, car seat, infant car seat, GPS, tow hitch, roof rack etc. It is also possible to rent a car for one way drive in Italy, called a one way rental. You collect the car in one place and return it somewhere else, e.g. another city or country. Good prices & deals on all types of cars, including luxury cars, mini vans and automatic cars. You can also rent and collect your car in one place and return it somewhere else. Cheap car hire in Messina - Compare prices before you book! Compare rental cars and renting of a vehicle from several companies in the town, Messina in Italy. We compare large companies as well as small and find the best price for all types of cars. We have an easy and safe online booking of rental cars. Car hire where every cost is included, no hidden fees and free cancellations/amendments up to 24 hours before you are supposed to pick up the car. Search and choose destination, search for country, city etc. and choose from the list. Rental cars at Messina’s train stations (Stazione Messina Centrale, Fiumara Gazzi, Contesse, Stazione Villa San Giovanni Marittima, Stazione Villa San Giovanni, Reggio di Calabria Catona, Galati and Stazione di Reggio di Calabria Lido) travel centre and airports like Reggio Calabria Airport and Catania–Fontanarossa Airport, QME and ferry terminals and ports (Marina Messina, Messina Harbour). To find the best price we compare following companies Maggiore Amico Blu on Via Vittorio Emanuele Ii 75, Sicily By Car Città on Via Vittorio Emanuele Ii 7, Maggiore Maggiore Rent on 75 Via Via Vittorio Emanuele Ii 75 Me 98165, Avis on Via G Garibaldi 231, Budget Italia on Via Vittorio Emanuele Ii 75, Europcar on Via Croce Rossa 37, Hertz on Via G Garibaldi 128 in Messina. Messina is located in the municipality Province of Messina, Sicily region, Italy and is a town. It is the central city in the area. It is the 3th largest town/city when it comes to inhabitants in the region and the 11th largest city/district in Italy. With a population of around 219 900 people in 2015. Reggio Calabria (c. 169100 pop), Barcellona Pozzo di Gotto (c. 34600 pop), Milazzo (c. 31800 pop) and Giarre (c. 24100 pop) are larger neighbouring communities and cities. Villa San Giovanni, Rosarno, Taurianova, Polistena, Melito di Porto Salvo, Monte Piselli, Santo, Casalotto, Ritiro and Gazzi are smaller suburbs, villages and communities nearby. Read more about what the town has to offer when it comes to experiences and which companies are located in Italy and Province of Messina. The city is located about 3 meters above sea level. We also give tips on which companies offer rental cars in Province of Messina. Visiting and sight-seeing in Messina? Some suggestions and tips on, activities, places, events, attractions, destinations, experiences and museums in the town that are worth a visit during your stay. Fascinating and fine plantings, green areas and parks that are located in the town are Park Caserta, Villa Dante and Villa Umberto. Make a visit to these historical ruins and places, Fortino di Pentimele, Collina di Pentimele and Forte dei Centri. Keen on seeing ancient relics, older buildings, antiquities and cultural heritage? These places, Ruderi di una antica Badia, could be worth a visit. Palazzo Foti, Villa Roberto, Villa Mazzini, Monte di Pietà, Palazzo Provinciale and Villa Genoese Zerbi are magnificent and interesting buildings, villas and palaces close to the centre of Messina. Close to Messina there are castles worth seeing such as Castello Aragonese, Castle of Scilla, il Castellaccio and Castello Rufo Ruffo. Close by there are interesting forts, strongholds and fortresses such as, Forte Masotto, Forte Crispi, Forte Serra La Croce, Forte Gonzaga, Forte San Salvatore, Real Cittadella di Messina, Forte Petrazza, Forte San Jachiddu and Forte Altafiumara. Perla dello Stretto, Centro Commerciale La Briosa, Centro Commerciale Tremestieri and Galleria Vittorio Emanuele III are malls in the city if you want to do some shopping. You can visit the amphitheatres and/or arenas in town at Arena dello Stretto. If you are travelling with children and want to visit an amusement park, water park or theme park, you have these options; Parco Giochi Trocadero and Karting Club Messina. Soprintendenza Alle Antichita’ della Calabria, Museum of Storia Naturale dello Stretto di Messina nel Mediterraneo, Villa Melania, Museum of Strumento Musicale, Regional Museum of Interdisciplinare di Messina, Museum of Biologia Marina e Paleontologia di Reggio Calabria, Museo Nazionale Kore Biglietteria, Museum of Tesoro del Duomo, Planetario provinciale Pythagoras and Museo Diocesano are located close to the town centre. A day at the museums and art galleries of Messina? Circolo Tennis Rocco Polimeni and Nuovo Tennis Club Curcuraci are located nearby if you want to watch sports or see a game. Stadium Giovanni Celeste, Arena Villa Dante, Stadium San Filippo, Stadium Conca d’Oro Baseball and Stadium Oreste Granillo are located nearby if you want to watch sports or go to a concert. Are you planning a wine tour and tasting in Italy? Wineries and wine producers that are close to Messina are, for example, Bonavita Azienda Agricola, Tenuta Enza La Fauci, Cantine Colosi, Cantina Giostra Reitano and Soprano di Sindaro. Look at famous statues and monuments of famous people and events like Fontana Nuova, Fountain of Orione, Monument to Latinista F. Sofia Alessio, Monument of Ferdinando II di Borbone and Monument to Caduti di Tutte le Guerre. Beautiful vast open spaces or squares close by are Piazza Garibaldi, Piazza Valsesia, Piazza Unione Europea, Piazza D’ Armi and Piazza Duomo. Swimming and sun bathing on the beach? You can do that on Riviera del Ringo. Take a trip with your car and make a visit! Want to visit some markets? The towns markets are e.g. Mercato comunale Sant’ Orsola. Notable churches or cathedrals are Temple Christ the King, Chiesa SS. Annunziata dei Catalani, Convento e Church of San Francesco d’ Assisi and Parish Church of Santa Caterina Valverde which are close by. 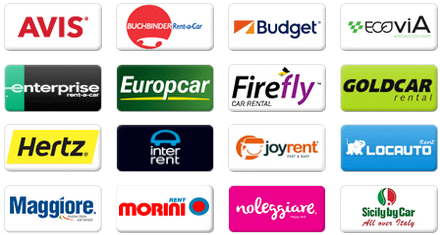 Car hire in airports nearby: Rent a Car Catania-Fontanarossa Airport and Reggio Calabria Airport. To find the best price we compare following companies Ace Rental Cars, Centauro, King rent, B-Rent, Italy Car Rent, Dollar, Optimorent, Ecovia, Budget, Autovia, Goldcar, Locauto, Oscar Rent A Car, Maggiore, Autoclick, Noleggiare, OS Car Rental, Payless, Buchbinder, Smile Rent, Alamo, Sixt, Keddy By Europcar, Green Motion, Europcar, Firefly, Surprice, Thrifty, Viten Group, Hertz, InterRent, CarMotion, Global Rent a Car, Nomadcar, Avant Car, National, Elba by Car, MoriniRent, Flizzr, Target Rent, WinRent, JoyRent, Sicily By Car, Enterprise, Avis, Welcome Cars, Rhodium and Hertz Dream Collection in Messina. You can usually find the largest selection at airports such as Catania Fontanarossa Vincenzo Bellini Airport and Reggio Calabria Stretto Tito Minniti Airport. The large companies usually have offices adjacent to the airport.